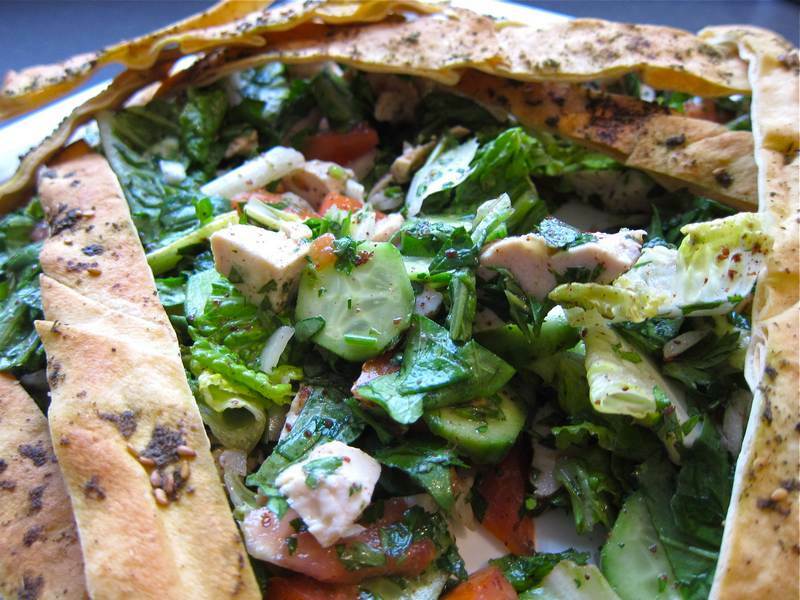 Fattoush Chicken Salad is just one more recipe that could promote peace in the Middle East. Larry David may be in line for a Nobel Peace prize if his ‘Palestinian Chicken‘ episode, which Alan Dershowitz sent to Israeli Prime Minister Netanyahu, brings the leaders of Israel and Palestine together to create entente. Combine all salad ingredients, except for the pita croutons. Combine dressing ingredients, taste testing the dressing before and after tossing with salad to ensure the right amount of oil, lemon and salt. 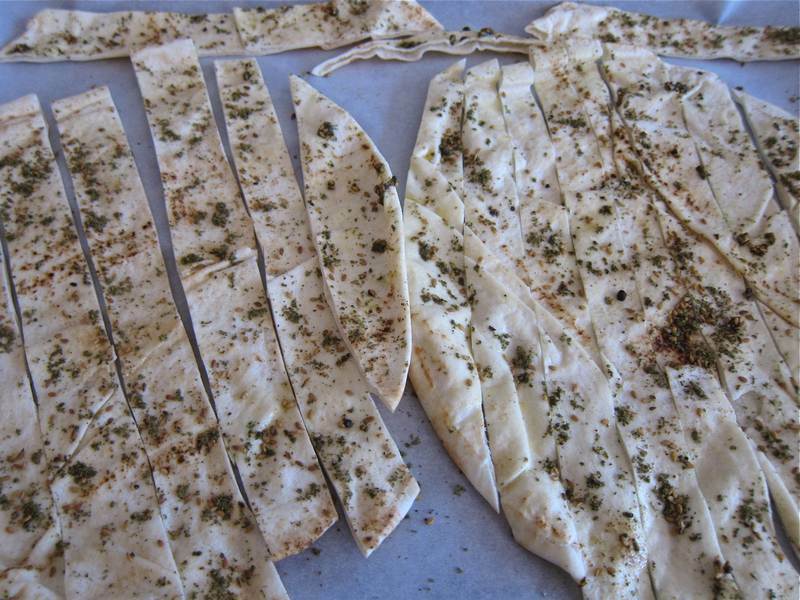 Toss in a large bowl before spreading out on a large platter and covering with the pita crouton lattice, as pictured. 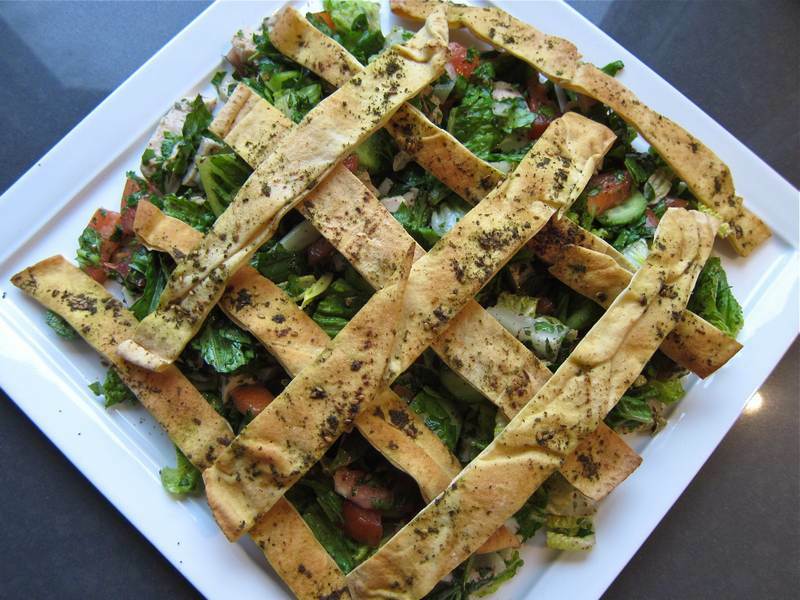 Terri Simms, my sister-in-law, for sharing a Fattoush Salad recipe with me years ago, long before Google was born. It is a family favorite. Harriet Sugar Miller, my sister-in-blog, for volunteering to be my copy editor, correcting spelling and grammar as much required. It takes a village to raise a Jittery Cook. Gorgeous presentation. I love your new word – sister-in-blog . Can we all join your family? Certainly. We can never have too many sister-in-blogs! Harriet came up with sister-in-blogging and I shortened. I know this recipe really well. It’s a classic in my home too. I found the recipe card which is at least 15 years old, and noticed that it was originally submitted to the Gazette by the Layalina restaurant in Outremont.The restaurant has been closed for several years, but the recipe lives on. 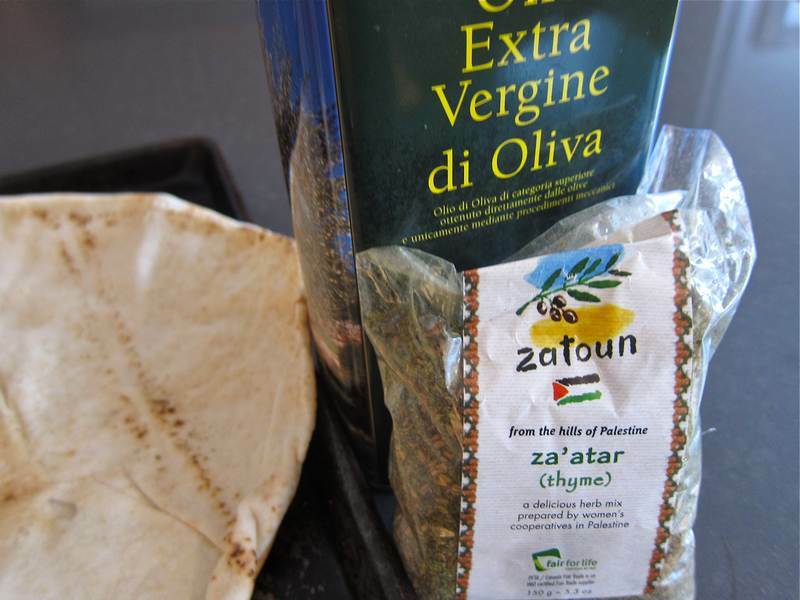 For anyone interested, there is a non dairy Shish Taouk recipe that I got from Denise Zunenshine. I believe it is in the Maimonides Cookbook. I love hearing from the Jittery Cook. When do you have time for all your other passions? Any chance you could post that non dairy shish taouk? We’re having a Holly Hanukkah celebration this year–using JC’s delicious recipes! 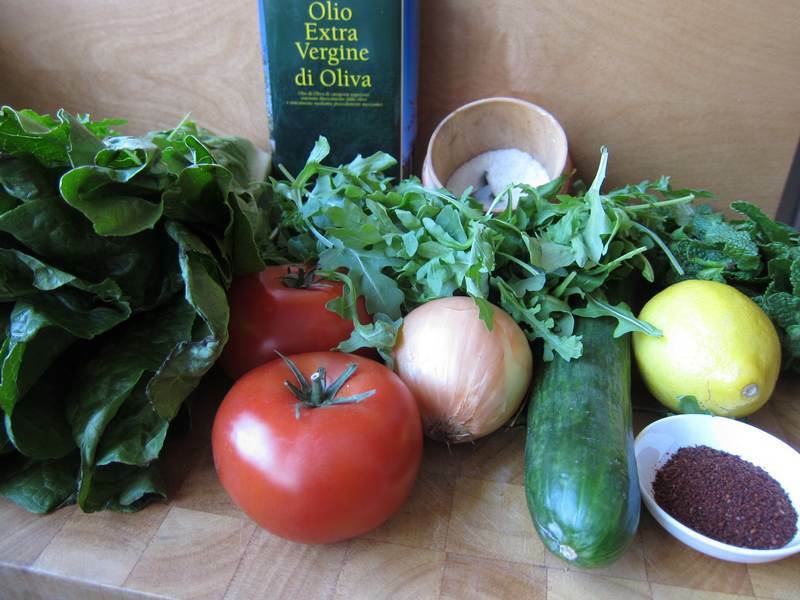 Hi Holly (Jittery Cook), Your recipes are fabuous!!! Too bad I am the only one at home most of the time!!! Any substitution for those who are kosher in regards to the chicken from Adonis?? Thanks, Arlene R.
Check out my marinated chicken recipes by searching in the Poultry category. Any tasty cut up chicken will do.